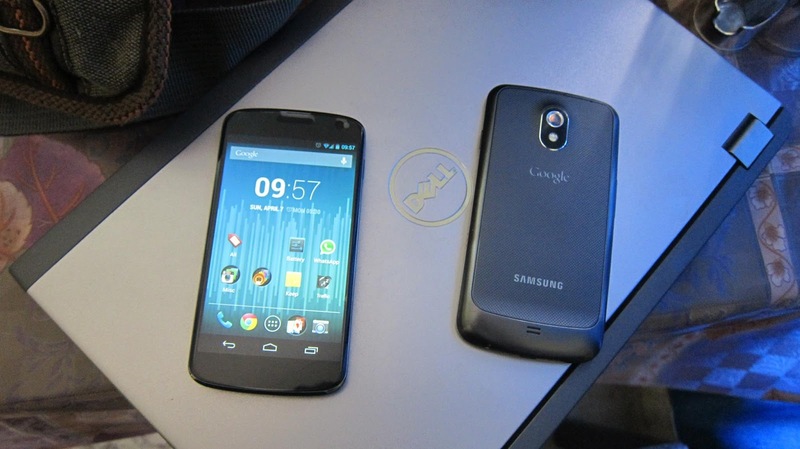 I now have both Samsung Galaxy Nexus (wife's primary device) and LG Nexus 4 with me, and it's review time. 4.65" Super AMOLED, Dual Core Cortex A9 TI OMAP 4460 @1.2Ghz, 1GB RAM, 16GB Flash. Battery is user replaceable and lasts entire day. Good - Jelly Bean, Display is good, Light and well built. Battery is user replaceable, Feels good in hand. Ugly - No MicroSD slot, No FM Radio, No user replaceable battery, Recharge every 6-8 hours, Gets very warm so have to keep the device out of my pocket. Google will be announcing the next Nexus device on May 15th 2013, in two weeks from now. So anybody buying it now should wait for two weeks. New iPhone will also come out in Apple WWDC on 10th June. Samsung Galaxy 4 / Note 3( yet unannounced) are not contenders because of Android skin and price.